Kiss dark under eye circles goodbye with this unique lightener/concealer. Instantly lightens and smoothes under eye area with no creasing or cakiness. Fantastic as an all over lid primer to help blend shadows and keep shadows from creasing. Makes shadow application a breeze. 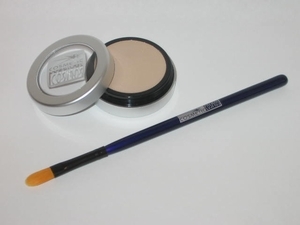 Comes with long-handled camouflage brush for blemishes or under eye circles.